Ages ago me & Andy had suggested to a couple of the other folk who ply their trade at Airdrie Sheriff Court that they should join us one of these days for a walk up a hill. 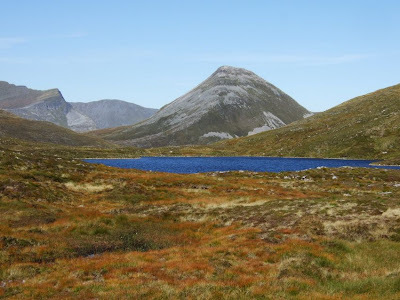 The original plan was for an overnight trip to Torridon or somewhere exotic. 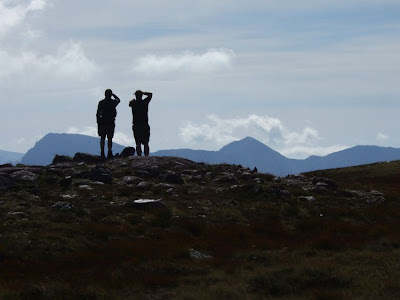 Last weekend was always the date pencilled in for the expedition, but predictably no-one had done anything about organising it, with the result that at the tail end of last week a rather more realistic proposal to head up to Kinlochleven for the day was settled upon. 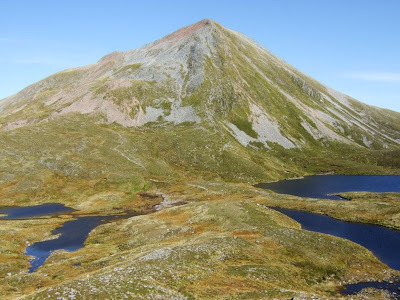 As it turned out we didn't have an enormous amount of time, so when it came to a toss up between doing Sgurr Eilde Mor on its own, or getting round Na Gruagaichean and Binnein Mor, the former option was the one to go for. And given the spectacularly good weather, it was a day for enjoying a leisurely walk, rather than battering round several hills, barely pausing to take in the views. Even on the drive up, the rarity of seeing Glencoe in all its glory made the journey worthwhile. I'm not sure that I've ever been able to get a good look at the whole of Bidean Nam Bian from the car, regardless of the amount of times I've driven that route. It was also nice for Andy's Defender to have more than one passenger in it for a change. 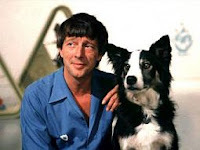 Him, me, Jim, Colin, Jorja and Skye. Even the roofrack was getting used, because I couldn't put my rucksack into the back where the dugs were or Jorja would have eaten my pieces. In fairness, there was room on top for more than the one pack, had that proved necessary. 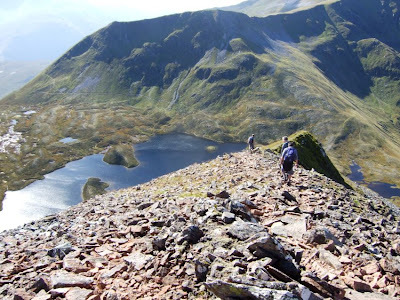 It's a cracking walk up to Coire an Lochain from Mamore Lodge, and one I've done several times before. It was June 2005 that I last climbed this particular hill though, so a return visit in good weather was overdue. The scenery just keeps improving as the walk goes on. You've got nice enough views back to Loch Leven as soon as you gain a wee bit of height, then you start looking down to Loch Eilde Mor. 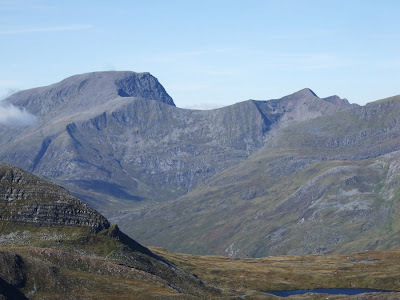 The Aonach Eagach and the other hills around Glencoe gradually sort themselves into identifiable forms behind you, and then the top of the properly mountain-shaped Sgurr Eilde Mor hoves into view. Over a wee rise on the excellent path and there's our objective revealed completely, sitting like a miniature Mount Fuji behind what must be one of Scotland's most photogenic lochans. 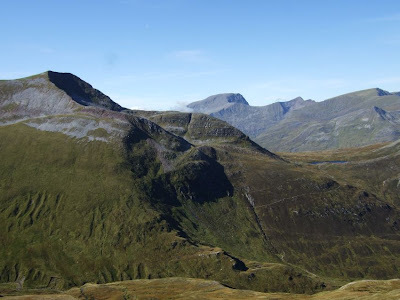 By this point you have a cracking view of Binnein Beag, and as you climb higher up the south west rump of Sgurr Eilde Mor you get a superb vantage point for Binnein Mor. Once you're up, Ben Nevis is just...right there. Crivvens, it's a big lump of a thing. We could even see the observatory on the summit. Actually, I think we could see just about everywhere in Scotland. And then spent five minutes staring at a golden eagle wheeling in the air above us as we descended. What a thoroughly enjoyable day in the great outdoors. Some photies. Not "colour adjusted" on the computer, for once! "Now, if that's the big Buachaille, then that one must be..."
Don't descend that way, incidentally. That path disappears just where the sheer drop starts. Here - nearly forgot the video! 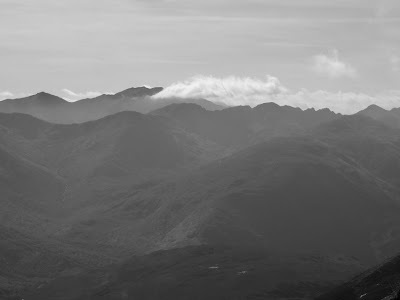 I was on top of Ben Lui wondering how your trip to SEM was going as I could see quite a bit of cloud your direction, certainly early on in the day. Obviously wasn't as much as I thought. Did this one earlier on this year and it was a great walk. 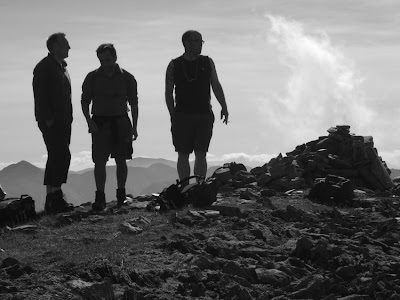 I wondered when I saw the photo of the group heading off down that west spur from the summit. Wild horses wouldn't have dragged me down that! @Ken - aye, the path looks great until you keek over the edge and realise there's, er, less to it than meets the eye. @Jamie - Cheers mate! Nice to see you here. I spotted the link on your new blog. Thanks for that! 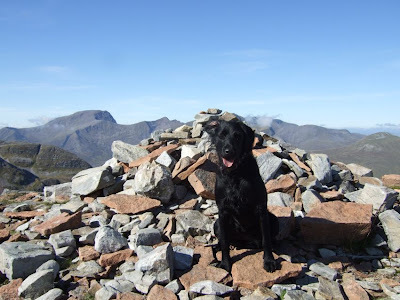 In fact I had a great wildcamp out that way with Gordy and Beth at the Kinlochleven meet last year! I know exactly what you mean about the scenery just getting better as the walk progresses. Heh, heh - aye, I remember spending the day in the Ice Factor in Kinlochleven waiting for the intrepid explorers to turn up for rolls and sausage.